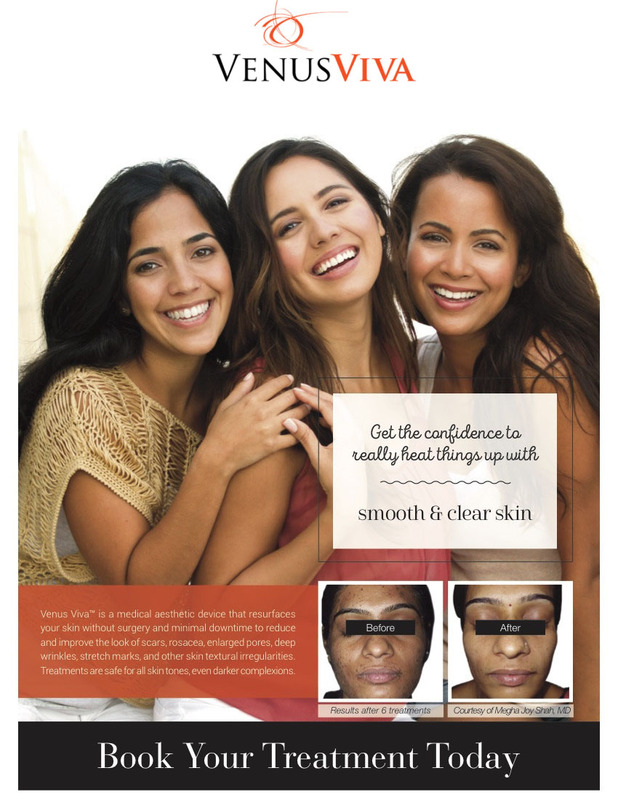 Venus Viva™ is the most customizable skin resurfacing device in the industry. 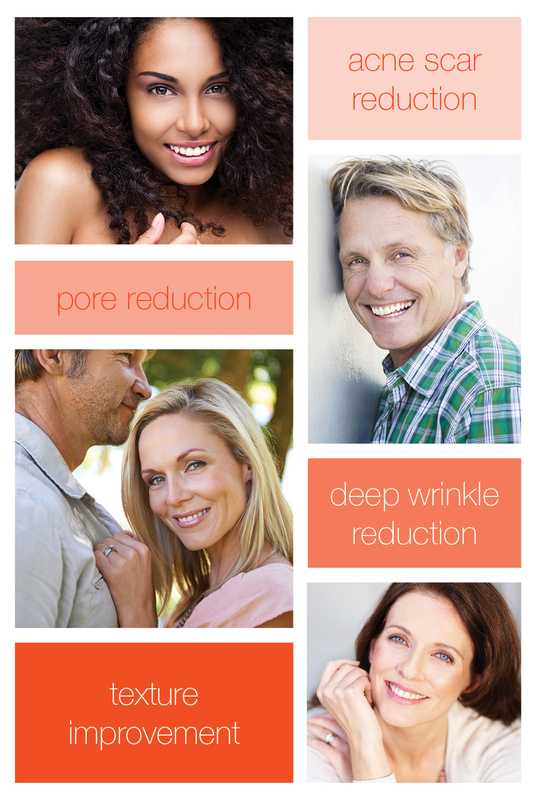 Venus Viva™ is the next generation in Skin Resurfacing and Facial Remodeling. It combines NanoFractional Radio Frequency (RF) and SmartScan™ technology to effectively treat textural irregularities, scarring, wrinkles, and stretch marks. Venus Viva™ allows you to continue with your daily activities immediately after treatments. You may experience mild redness post treatment. You can resume wearing make up one day after treatment. This technology is proven to effectively tighten the skin, improve texture, and correct pigmentation, rosacea and acne scarring. Venus Viva™ is safe and effective for use during all seasons, on all skin types. Ask Dr. Rozenberg if Venus Viva™ is right for you! 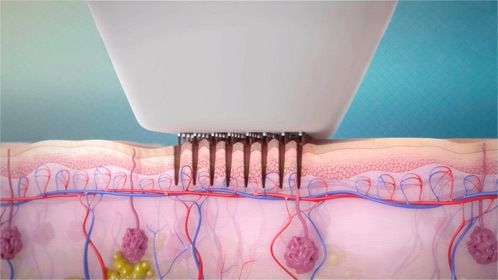 Venus Viva™ works with tiny pins that safely deliver heat (via NanoFractional RF™) through the skin’s surface. This creates tiny micro-dermal wounds, which the body then works to heal naturally. This process is what repairs signs of skin damage seen on the surface of the skin. And because the wounds are so small, the treatment is much more comfortable than lasers or chemical peels. The result is smoother, healthier skin with minimal downtime. Venus Viva™ also works to target fine lines and wrinkles with the non-invasive DiamondPolar™ applicator*, which uses Multi-Polar Radio Frequency and Pulsed Electro Magnetic Fields to produce uniform heat on the skin. These two technologies work together to increase collagen and stimulate a natural healing response, resulting in a dramatic improvement to the skin with virtually no pain and no downtime. The video below is a demonstration of how Venus Viva interacts with your skin!